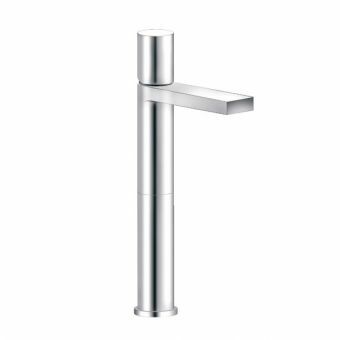 A uniquely styled bathroom basin mixer tap that features a narrow waterfall spout at the front. 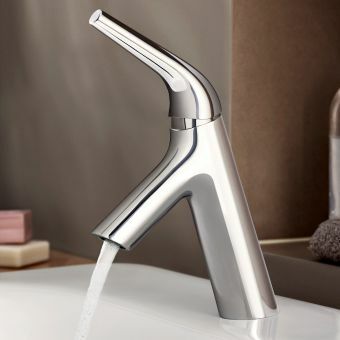 The water supply and temperature can easily be adjusted using the precision engineered handle and as a bonus, it can also be used easily by anyone that has difficulty with gripping items due to its chunky design. 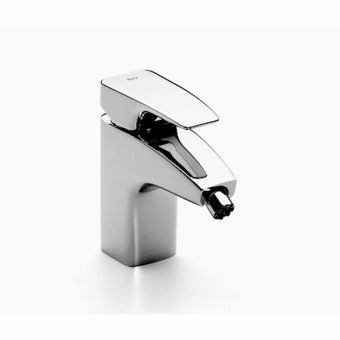 Feature a flow limiter with a maximum combined flow of 8 litres/minute. 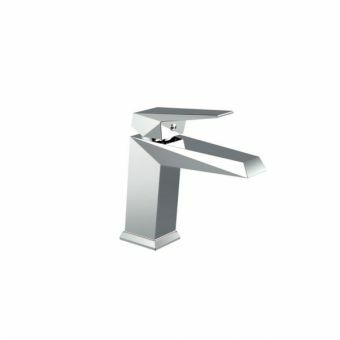 Spout Projection - 98mm, Height - 155mm. Available with or without pop up waste. 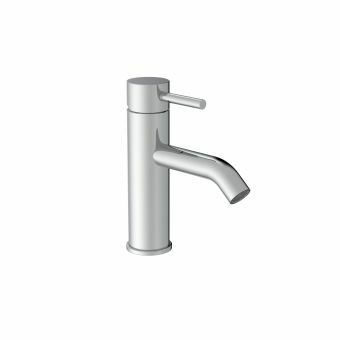 Suitable for high pressure systems min. 0.1bar pressure. 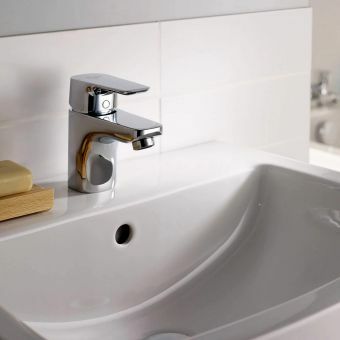 The Roca eco disc cartridge is supplied as standard giving you the choice between two water flows. 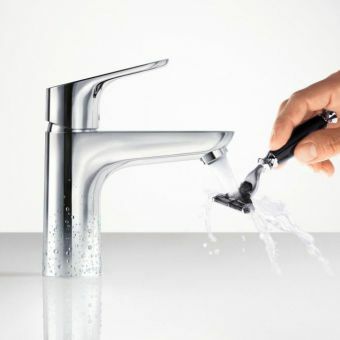 Raising the lever handle you reach a level ofresistance giving 50% of the flow; by lifting beyond this bite-point, you achieve full water flow. There is a lifetime guarantee on ceramic disc cartridges. 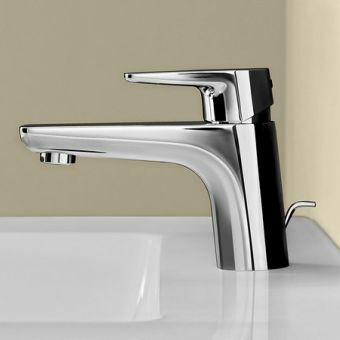 5 year guarantee against all manufacturing defects.